Svante Arrhenius was a Swedish physicist and physical chemist who formulated the theory of electrolytic dissociation, for which he was awarded the 1903 Nobel Prize. One of the founding fathers of physical chemistry, Arrhenius also presented a revolutionary model of the greenhouse effect. 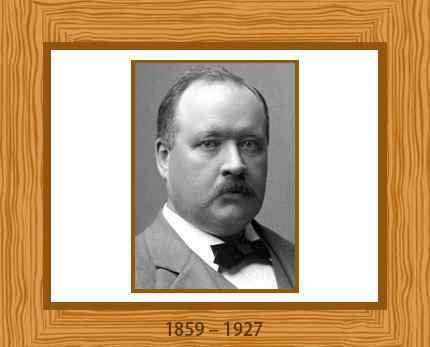 Born on February 19, 1859 near Uppsala, Sweden, Svante Arrhenius’s father worked for Uppsala University as a land surveyor. A childhood prodigy, Arrhenius taught himself to read and even solve simple mathematics problems when he was only 3. He received his early education from the renowned Cathedral School in Uppsala. After completing his bachelor’s degree in 1878, Arrhenius earned a doctorate in 1884 at Uppsala University, where he was also awarded the honorary title of docent the same year. Arrhenius remained at the University of Uppsala after earning his doctorate as a docent in physical chemistry and made use of a generous postdoctoral travel grant to work in various laboratories. In 1887 he became professor of physical chemistry at the University of Leipzig, moving in 1891 to Stockholm University where he became a full professor in 1895. Arrhenius took the position of director of the Nobel Institute of Physical Chemistry in Stockholm in 1905, a position he held until his death. Svante Arrhenius sent his 150-page thesis regarding the conductivities of electrolytes to several famous scientists across Europe. Wilhelm Ostwald from the University of Leipzig was very much impressed, who even made a trip to Uppsala to recruit Arrhenius for his research team. Arrhenius extensively broadened his ionic theory in 1884 and gave detailed definitions for acids and bases. Arrhenius revolutionized the study of electrolytes by stating that electrolytes are separated into ions when they dissolve in water. For instance he said that sodium chloride in water exists entirely as sodium ions (with positive charges) and chlorine ions (with negative charges). He also stated that an acid such as acetic acid in solution is a mixture of acetic acid molecules, acetic ions and hydrogen ions; the dissociation into ions being greater when the solution is very dilute. He was awarded the Nobel Prize in 1903 in recognition of his theory of electrolytic disassociation. Controversies regarding the causes of the ice ages led Arrhenius to build the earliest climate model of the influence of atmospheric carbon dioxide, which he presented in “The Philosophical Magazine” in 1896. He therefore became the first scientist to discuss the effect of industrial activity on global warming. He published a textbook on cosmic physics (Lehrbuch der kosmischen) in 1903 which included a discussion on the northern lights and the solar corona. Arrhenius delivered lectures at the University of California in 1904 which were published in 1907 as “Theories of Chemistry”. In 1911 he gave the prestigious Silliman lectures at Yale, published as “Theories of Solution” in 1912. Arrhenius also performed extensive research on bacterial toxins and various plant and animal poisons and “Quantitative laws on Biochemistry” was published in 1915 based on his 1914 lectures at The Royal Institution in London. He married Sofia Rudbeck in 1894 and they had a son. He married Maria Johansson in 1905 and they had two daughters and a son. Svante Arrhenius suffered a serious attack of acute intestinal catarrh in September 1927. He died a few days later, on October 2, 1927. Buried in Uppsala, Arrhenius was 68 years old.